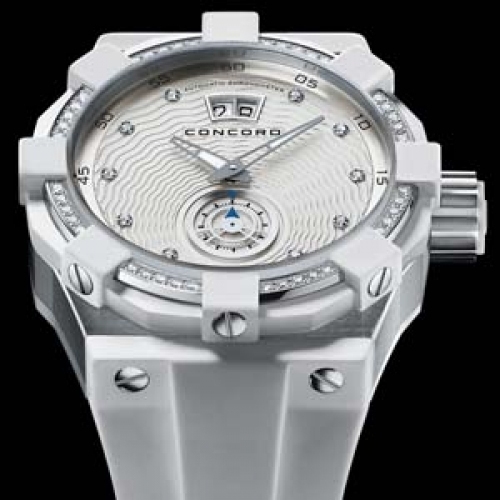 The C1 by Concord returns in a fascinating new version. This subtle blend of strength and gentleness features delicate shimmering effects created by the guilloché dial motif enhanced by diamond hour-markers and a gem-set bezel rimmed with 8 immaculate white rubber paws. With an original disc-shaped small seconds display and a large date setting the crowning touch, this model radiates an aura of peerless purity – a sense of plenitude that detracts nothing from C1’s inherently sophisticated and powerful character.